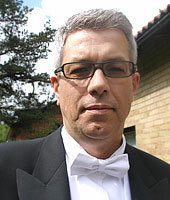 Claes Niklasson got his Master degree at Chalmers 1981 in Engineering Physics and PhD at the department of Chemical Reaction Engineering 1988 in the field of Heterogeneous Catalysis. Associated Professor in 1993 and a full Professorship at Chalmers 2000.Claes main research areas are heterogeneous catalysis and bioreaction engineering. More than 65 published research papers in well known international journals. Claes has a great interest in teaching and pedagogical projects and has over 26 publications in this field. Under his supervision and examination 15 students have graduated with the degree of PhD.Present research areas:Yeast fermentationEthanol and Biogas from biological residues and wasteModeling of fermentation processes. Reflections on student opinions before and after the final exam - The variability of questionnaires. Why and how can mathematics improve the learning in chemistry and chemical engineering? Growth and product formation in anaerobic and microaerobic continuous cultures of Saccharomyces cerevisiae under carbon- and nitrogen limitation. ¤th Baltic region Seminar Engn. Introductory document: An Efficient tool to enhance student´s motivation for engineering subjects. 2nd Global Congress on Engineering Education, Cracow, Poland,. An experimental guide to the relevant aeration rates in microaerobic bioprocesses. A new method for studying microaerobic fermentation: II. An experimental investigation of xylose fermentation. There might be more projects where Claes Niklasson participates, but you have to be logged in as a Chalmers employee to see them.